Weaden AS members met Lucie and Helen at the OSC, after their location filming session for the BBC programme Horizon. 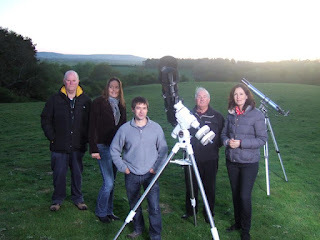 WAS were asked to assist the programme makers with the Transit of Venus episode, broadcast on 5th June 2012. The Science Centre is often used as a location by film crews for UK television programmes. 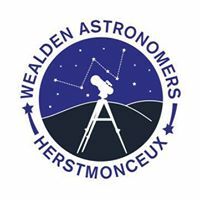 Weaden AS members Derek, Kevin and Peter with Dr Helen Czerski and Dr Lucie Green at OSC, Herstmonceux.